We provide excellent pet boarding services including our dog boarding with indoor/outdoor runs, Luxury Suites, cat condos, play times, daycare, full dog grooming, and more! We offer the best cat boarding facilities in Central Oregon. Our Cat Condos are total luxury for your furry friend. We also board rabbits, ferrets, birds, reptiles and other pets! We offer professional full grooming for your dog while you're away. We also offer scheduled appointments for those not boarding with us. We have used the Deschutes Pet lodge for years now. Worth the extra drive from Bend. Small and Large size dogs. We have had great results with the folks and our dogs actually get really excited about going and visiting. When we drop the dogs off they run right to the people behind the desk and they give them lots of love. Our GSP loves to go and chase the ball on her play times. One of our dogs got hoarse during a 2 week stay, but vet said it was not kennel cough and was more likely that he was just a trouble maker and barked a lot. We have called during trips and the staff is always helpful with updates on the dogs. My dogs have been going here for over six years - both daycare and boarding. They always come home happy. I also like the fact they offer grooming so the dogs can be groomed while they are at the kennel. We had a wonderful experience boarding our kitty here for three nights. Staff was very friendly and helpful, even when I had to change our reservations a couple of times. The cats are kept in a separate, quiet area with their own pens that have little windows and perches. Excellent service and I would recommend them to anyone. This is the best and only place in the county that I will leave our Duke (he's a dog) at.I can't express how much ALL individuals involved love and care for any animal that comes through the door.The price is UNDERwhat I consider fare and they dont sacrifice quality of care at that price.From the minute you walk in the doors it feels like your leaving your animal with family (but better cause they know what they are doing)We live in LaPine and pass many other places and have used a few others before we found Deschutes Pet Lodge but will always only use them.It is close of the highway and knowing your pet is being care for at such a high quality let's us enjoy our trips to the fullest knowing our Duke is safe and happy.Duke doesn't like new things but when we pull up to the lodge he is happy as can be.If you are looking for a fare, honest and caring place to leave your pet this is the ONLY place in Bend area to go!!! 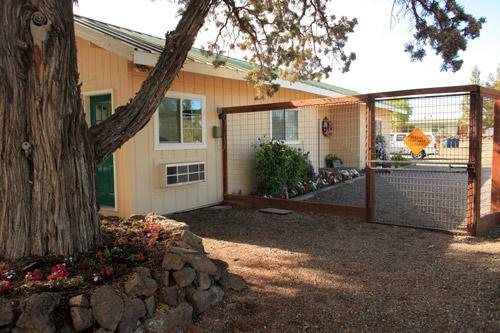 Deschutes Pet Lodge has been serving both the Redmond and Bend communities caring for animals since 1978 as well as the surrounding areas of Terrebonne, Prineville, Sisters, La Pine, Madras and Sunriver. We are centrally located just 4 miles from the airport on 3 acres of beautifully landscaped park like setting. The lodge welcomes dogs, cats and everything in between! 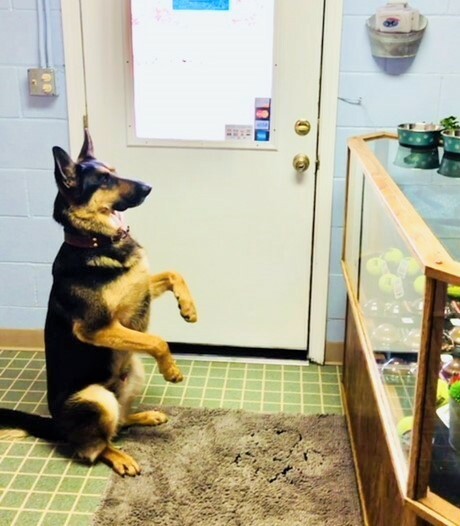 Our knowledgeable and experienced staff members at Deschutes Pet Lodge are dedicated to paying close attention to your pet's needs, as well as providing a caring, clean, safe and healthy environment. All of our employees are certified/trained to insure that your pet is well cared for. We strive to provide superior customer service and our staff is the absolute best around -- just ask any of our customers (human or pet)! We offer various types of rooms including: indoor/outdoor runs, upstairs rooms for little ones, separate indoor kennels, and Luxury Suites. 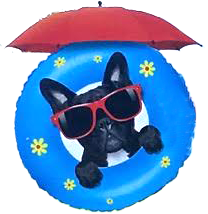 All our rooms are climate controlled for your pet's comfort. The surfaces are disinfected with products that are safe for your pet and for the environment. We serve premium pet food with no soy, corn, or wheat. We also provide various bedding depending on your pet’s needs including Kuranda beds. Our separate cattery provides kitties with a window seat to view the outdoors in their multiple level cat condos. We also have a kitty play area creating hours of fun (catnip included). We welcome all dog breeds and do not require spay/neutering. We have experienced staff supervising at all times and able to provide extra care for young ones, senior pets, and animals with health problems (such as diabetes). We also cater to rescue animals’ special needs such as anxiety or aggressive behaviors. We are able to give medications, injections, and post-surgical care (such as bandaging or irrigating wounds). Our furry guests are beggin' to come in! Main Office Closed For Holidays: New Years day, Easter, Memorial Day, 4 th of July, Labor Day, Thanksgiving, Christmas Eve and Christmas Day.